For DURABILITY with some cushion comfort, it is hard to beat a good leather child's cowboy boot. 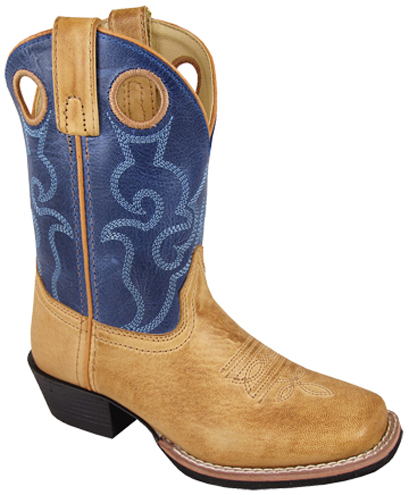 Popular cowboy boots are great for a child's back-to-school selection. Just apply some mink oil, or Snow Seal to protect them from the elements, (and maybe the kids). Stylish square toe with Pull holes too. Slip resistant, easy to flex sole. Just as fashionable for girls or boys! Unisex "Clint"